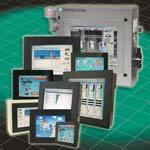 Pepperl+Fuchs introduces its DM5xx Series Industrial Flat Panel LCD Monitor. Designed to deliver reliable operation and long life in harsh environments that demand continuous duty operation, the monitor is available as a general purpose display or as a UL-listed Class I/Div 2 device. Touch screen options are available.